The story goes that Napoleon once inquired about a certain general to his staff. After listening to them go on and on about his distinguished combat record, he put up his hand and asked, “But is he lucky?” Napoleon knew, better than anyone, that great skill and bravery ultimately matter little in the face of combat if you also happen to be unlucky. The U.S. Army Air Force’s 492nd Bombardment Group was brave and highly skilled, but it was their unlucky fate to find themselves, repeatedly, at the wrong place at the wrong time. 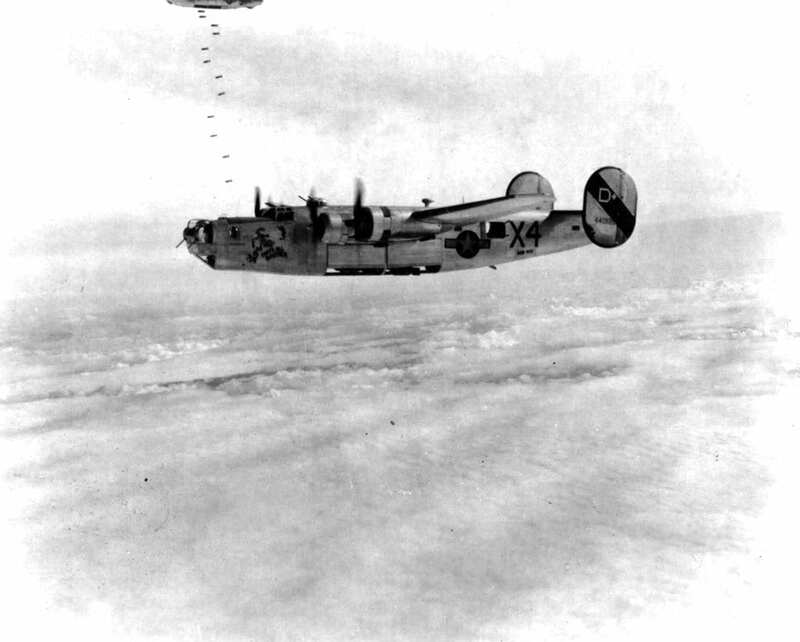 The U.S. Army Air Force’s 492nd Bombardment Group was brave and highly skilled, but it was their unlucky fate to find themselves, repeatedly, at the wrong place at the wrong time. And though they were faultless, for their sins, they got wiped out not once, but twice. The first time was by the Luftwaffe, which inflicted such heavy losses on them they had to be stood down and disbanded. The second time was by their own generals, who, rather than acknowledge their defeat, performed an act of bureaucratic legerdemain to cover it up and in essence, expunge them from history, where to some extent, they remain to this day. The unit’s own, unofficial history says that in late April 1944, when Gen. Jimmy Doolittle, the new head of the 8th Air Force, heard that the 492nd was on its way to join them, he bragged that now they were going to really show the Germans a thing or two. Even though the 492nd hadn’t yet been bloodied by combat, they had a formidable reputation. By this point in the war, the spring of 1944, pilots and aircrews were given only as much training, flight time, and practice missions as was necessary to be sent out on missions to fly or die. Anything beyond that was considered a waste of resources unlikely to significantly budge their grim, basically fixed position within the actuarial tables of men flying bomber missions over Nazi-held territory. The new men shared a uniformity of inexperience. But the 492nd was different. Its pilots already had hundreds, even thousands of flying hours under their belt, far more even than the most mission-hardened veterans being rotated back home. This is because they were former flight instructors and men from the observation squadrons that had been flying anti-submarine patrol missions up and down the Atlantic coast since right after Pearl Harbor. They were highly experienced and eager to get into the fight. The 492nd arrived in England on April 18, 1944, without losing a single aircraft, the first bomber group to do so, a further testament to their proficiency. They were highly experienced and eager to get into the fight. During the next 30 days the 492nd flew 23 more missions. The vast majority of those missions were carried off without any losses. On May 27, they lost one bomber over Saarbrucken. The next mission was two days later when they attacked the oil refineries at Politz in Poland. They lost three bombers on that raid. Five days later another airplane was lost in a mid-air collision. For most of June, the 492nd supported the Allied invasion in Normandy by attacking enemy airbases and other targets in France, during which time they lost only a single aircraft. Then they were sent to targets in Germany, and that was when everything went very bad.